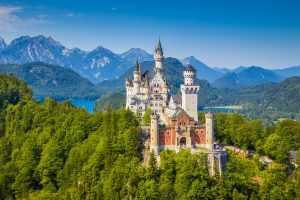 Today Neuschwanstein is one of the most popular of all the palaces and castles in Europe. Every year 1.4 million people visit “the castle of the fairy-tale king”. In the summer around 6,000 visitors a day stream through rooms that were intended for a single inhabitant.